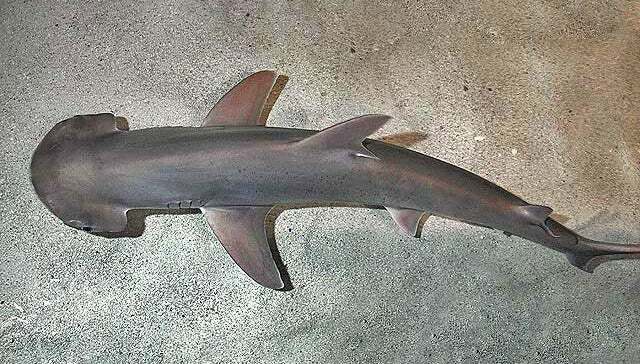 Sharks are virtually synonymous with carnivorousness, but the bonnethead shark, as new research suggests, is a true flexitarian, capable of switching between meat and plant-based diets. 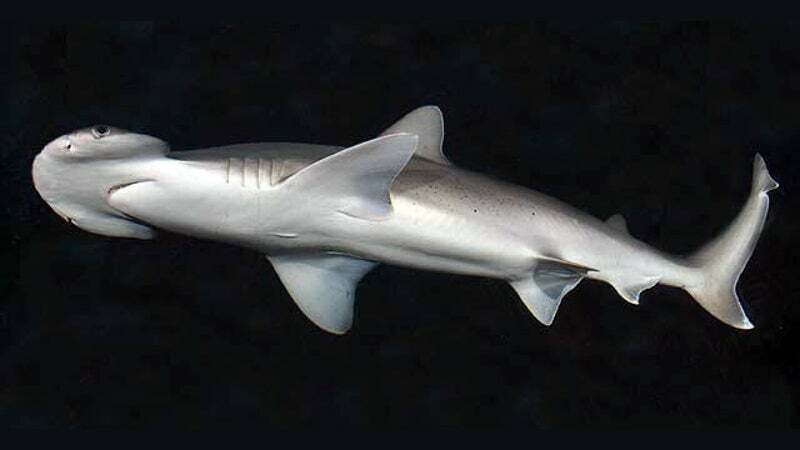 Researchers from the Department of Ecology and Evolutionary Biology at the University of California, Irvine have shown that bonnethead sharks, previously thought to be exclusively carnivorous in their food choices, are capable of digesting and drawing nutrients from seagrass. It’s the first known omnivorous shark — a discovery that’s changing what we know of sharks and their role within aquatic ecosystems. The new research, led by marine biologist Samantha Leigh, was published today in Proceedings of the Royal Society B. Some animals are quite indiscriminate when it comes to the consumption of food, gobbling up virtually anything that crosses their path. But just because an animal has decided to eat something doesn’t mean it can properly digest it and take advantage of potential nutrients. For scientists, it’s important to know which foods are of actual benefit to an animal and to fully understand the role it plays within its ecosystem. When it comes to sharks, scientist thought they had it all figured out. Sharks are supposed to be the quintessential carnivores, with stomachs specially designed for digesting high-protein foods; they’re built to eat meat and nothing else. Omnivores, on the other hand, are capable of eating meat, but they can also digest plant material. This ability requires an entirely different digestive biochemistry, enabling, for example, the ability to break down and absorb, or assimilate, nutrients found in the fibrous cell walls of plants. Bonnethead sharks (Sphyrna tiburo), which live in the coastal waters around the Atlantic and Gulf coast of the United States, are very well known to scientists. They like to eat crustaceans, squid and molluscs, but they have this strange habit of munching on seagrass — an observation first made by NOAA research ecologist Dana Bethea and her colleagues back in 2007. So much so, in fact, that upwards of 62 per cent of their stomach contents are known to contain traces of this aquatic plant. Marine biologists figured that bonnethead sharks were simply consuming the seagrass, but not actually deriving any nutrients. “Initially, the thought was that the bonnethead shark was accidentally consuming seagrass while hunting for crabs, squid, and other small invertebrates that make seagrass meadows their home,” Leigh told Gizmodo. Unswayed by this popular opinion, the Leigh and her team decided to run an experiment to see if bonnethead sharks were, in fact, capable of digesting and acquiring nutrients from seagrass. Working with five captive bonnethead sharks, the scientists fed them a diet consisting of 90 per cent seagrass and 10 per cent squid. The diet amounted to five per cent of the sharks’ body weight per day, and was done over a three-week period. The researchers collected the sharks’ faecal matter during the feeding trial, and all sharks were euthanised at the end of the three weeks. A digestive analysis of the dead sharks and their poop showed that the bonnethead sharks were indeed digesting and absorbing nutrients from the seagrass. What’s more, the sharks also exhibited somatic (cellular) growth while on the plant-based diet, and they possessed the required biochemistry to break down even the toughest portions of the fibrous seagrass. The researchers analysed the faecal material to measure how much of each nutrient type (carbohydrates, proteins, fats and so on) was excreted, and how this compared to the amount of food consumed. Around half of the total organic matter in seagrass was digested. We show that a coastal shark, previously thought to be solely carnivorous, is digesting seagrass with at least moderate efficiency, which has ecological implications...[within] fragile seagrass ecosystems. Indeed, this discovery means scientists will have to re-evaluate the role played by bonnethead sharks in seagrass environments. These omnivores, as we can now confidently call them, are likely responsible for significant grazing and nutrient transport within these ecosystems. Seagrass meadows, the scientists say, represent the most widespread coastal ecosystem on the planet, providing many important ecological and food-based services. In terms of limitations, this study provides a snapshot of one population of sharks from the Florida Keys area. The researchers still don’t know what their counterparts in the Pacific are doing in terms of vegetation consumption and digestion. A really neat discovery, for sure. Sharks, as this study shows, don’t always conform to the stereotypes we impose upon them.